Trampy and The Tramp's Glasgow of Curry: Five Years Of TATTGOC: Where Are They Headed For The Big Night? Five Years Of TATTGOC: Where Are They Headed For The Big Night? 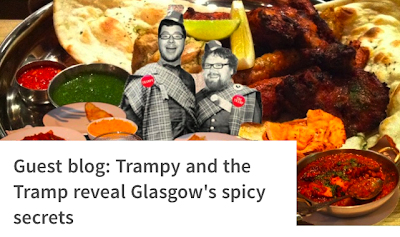 This month, Trampy and the Tramp's Glasgow of Curry celebrates five years of continuous spicy operation, incorporating almost 50 legendary outings and countless weekly updates (this post is actually the 298th, due to some excitable double posting in the early years). A lot has happened since that first fateful visit to the Indian Orchard in Partick, and we're now almost at the end of our series of typically self-congratulatory posts during November. 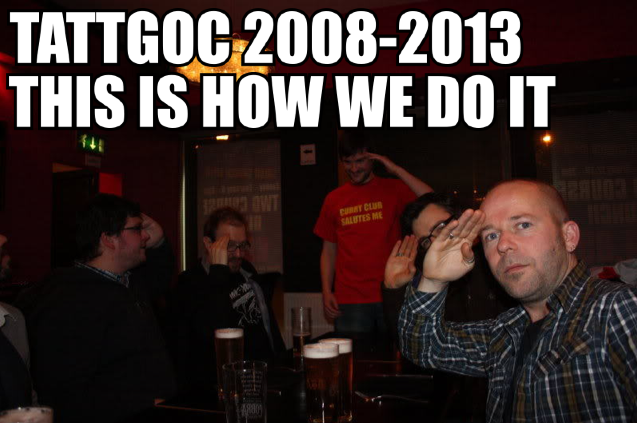 In fact, tonight is the official TATTGOC five-year party – but to tell you where we're headed would spoil the surprise. Rest assured, there will be a full write-up in due course, but all you need to know is ... it's a biggie. And if you've read, listened, shared or commented on anything TATTGOC-related in the past five years, the Tramps salute you. Best egg curry! - pah, don't make me laugh. Surely a contradiction in terms. I'm just desperate to know where we're oeuf to.